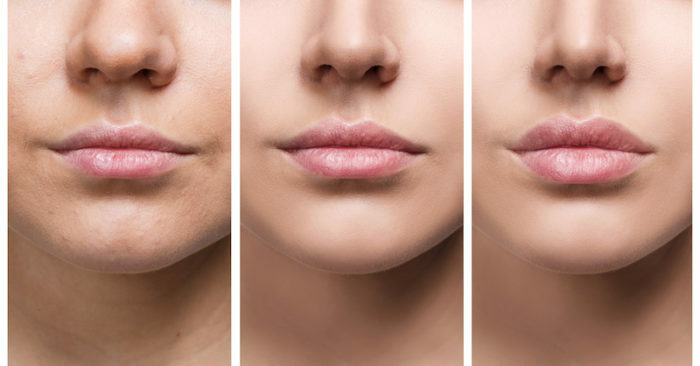 As a central feature of the face, lip care may help to preserve a youthful and healthy appearance as well-defined and full lips have long been associated with beauty. Over time, loss of volume and elasticity can alter the appearance of your lips and the areas of the face that surround them. They can also be affected by a variety of other factors including loss of teeth, smoking, sun or ultraviolet exposure, and exposure to irritants and environmental factors. For patients who are hoping to give their lips a softer, fuller appearance, a popular treatment is the injection of hyaluronic acid fillers such as Juvederm® or Restylane®. Fillers are an inexpensive, non-surgical option that helps to plump the lips and deliver results lasting up to 12 months. Newer generations of fillers, which are delicate and soft such as Restylane Silk® have been designed specifically to improve very fine lines like those seen around the mouth including wrinkles which have been present for years. Hyaluronic acid fillers can not only help lips appear more full and reduce the appearance of wrinkles, but also improve the upper and lower lip lines. One of the most common uses includes treatment to reshape flattening of Cupid’s Bow at the center of the upper lip. Treatments to improve lips lines can last from 6 to 12 months, but combined with conservative use of Botox® or Dysport®, treatment results can last even longer. A common complaint among patients are smile lines (seen between the nose and lips) and marionette lines (between the lips and chin). Especially the latter, as marionette lines don’t just make people look older, but can cause the face to look unhappy. Restylane®, Juvederm Ultra® and Juvederm Ultra Plus® are safe, effective options for treating these areas. If the appearance of your lips or the skin around your lips is starting to bother you, don’t wait! Blue Ridge Dermatology’s new Cosmetic and Laser Center is located at 3225 Blue Ridge Rd., Suite 101 in Raleigh, North Carolina and is now accepting new patients. Call (919) 781-1050 to schedule a complimentary consultation with Karin Berg, our certified aesthetic nurse specialist, to learn more about your treatment options. « How Long Will My Botox Last?